Editor’s note: We originally published this post from one of our readers (Janet Ward) on Mother’s Day weekend two years ago. Given the proximity of Mother’s Day to Children’s Mental Health Day/Week, I thought her post would be of interest to many of our new friends who have begun following the blog over the last two years. Driving our minivan up a scenic mountain road during a summer vacation, listening to my enraged 6-year-old daughter tantrum from the backseat, screaming about wanting to get another fairy doll at the country fair we had just left, my daughter becoming angrier with each passing second. I concentrated intently on driving, hoping to safely and quickly make it back to the condo where we were staying. Suddenly, something struck me on the back of my head. She had taken off her shoe and had thrown it at me. I yelled at her to stop. She responded by throwing the next easily reachable projectile, which happened to be a book. Much to my horror, I then heard the click of her seatbelt unbuckling. In the blink of an eye, my daughter charged me from the back of the minivan, pushing and hitting me on my head, right shoulder and arm as I struggled to keep the car under control. That was it. That incident was the final straw that led to our decision to start my daughter on an antipsychotic medication. I didn’t know it that day, but during the next eight years, we would try 14 different psychotropic medications with her, all in an attempt to manage her wide array of symptoms related to anxiety, mood and attention. During those years, I learned a lot about this hotly debated topic of medication for kids. I learned there are no easy answers. I learned that those who claim to have all the answers most assuredly do not. And I learned the answer that is right for one child and one family is not necessarily right for another. In our fast-paced society, people often look for quick, easy fixes. Contrary to what many believe, putting a child on psychotropic medication is neither quick, nor easy, nor a fix. It is a serious decision with potentially serious consequences. 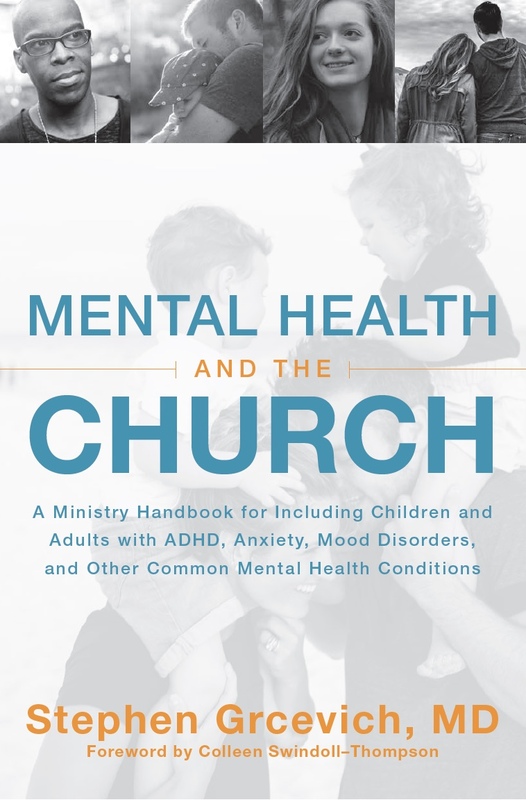 • Much needed relief: By the time parents consider psychotropic medications, especially the more potent antipsychotics, usually every single member of a family is suffering, not only the child. Medication can ease severe symptoms that hinder a child’s ability to function in his or her world, symptoms such as inattention, hyperactivity, anxiety, mood issues and more. By reducing, not necessarily eliminating, the intensity of symptoms, medications can stabilize a child, stabilize a family’s home life, and make concurrent therapies and/or interventions more effective. At their best, medications are essential to preventing or minimizing some kind of crisis, as in our case when safety and the ability to function in daily life were so severely compromised. When medication works as intended, the relief it provides both to the child and the entire family can range from immensely helpful to invaluable. • Trial-and-error: Like much in life, there is no “one-size fits-all” answer to medication. Finding the right medication — or combination of medications — for any given child is a blend between art and science. No two children’s brains are the same; therefore, no two children react exactly the same to the same drug given at the same dosage, at the same time of day. Often, treatments require experimentation with dosage, time of day of administration, even the specific drugs themselves. Additionally, because children’s bodies change and grow, at times rapidly, even stable medication regimens need to be periodically re-evaluated and adjusted. • Side effects; take ‘em seriously: We’ve all seen the small print at the bottom of magazine ads— usually so tiny it requires a magnifying glass to read. And we all tend to ignore it, thinking that such things only happen to other people. But my experience is that side effects with psychotropic medications are real, are common, and are not to be taken lightly. At various times, with various medications, my daughter experienced weight gain, weight loss, sleeplessness, excessive sleepiness, anxiety and some bizarre behaviors, such as constant coughing or smacking herself on the forehead with the palm of her hand. These side effects were pronounced, problematic enough that they had to be addressed. Often with side effects, parents find themselves simply trading one set of behaviors to manage such as problems completing homework due to inattention for another such as having to ensure a child with zero appetite eats enough food to sustain him or herself throughout the day. Side effects are so prevalent, there’s even a phenomenon called “symptom chasing,” in which another medication is added to the child’s regimen in order to address symptoms caused by a previous medication. When my 40-pound daughter gained a staggering 20 pounds after starting an antipsychotic, a stimulant was prescribed to reduce her appetite and help with attention. Her insatiable hunger did ease up, but the stimulant also had the side effect of increasing anxiety, which then led to the possibility of starting her on an anti-anxiety drug. We decided not to do that, but the lesson here is what started out as one psychotropic medication could easily have led to three, the second two being the result of managing side effects of the first. Sometimes side effects are so troublesome as to warrant discontinuation of a medication, regardless of how well that medication is working. For example, after six years on a certain medication, my daughter developed side effects that threatened the health of her heart. She had to stop taking that drug, and its discontinuation was no easy task. • Long-term consequences: As advanced as medical science is, long-term consequences of psychotropic medications on a child’s still developing brain are unknown. Medical science does know, however, that the human brain develops well into a person’s 20’s, so this is as much concern for an otherwise fully-grown teenager as it is for a younger child. Politicians talk about having an exit strategy, a plan about how to leave a situation, either once an objective has been achieved or to minimize failure. Similarly, psychotropic medications require an exit strategy. Medication in and of itself is not a permanent solution. Medication simply squelches symptoms; it doesn’t fix anything. Your child will not magically outgrow his or her condition while on medication. Unless your idea is to have your child take medication into ripe old age,which really isn’t feasible, you need a plan. The ultimate goal is to enable your child to navigate the world successfully, on his or her own, without medication. This means that medication should be only one of several tools in your toolbox, a tool to be used in the short-term while you explore other options to effect permanent changes in the long-term. Postscript: My daughter is now a teenager and has been medication-free for the past 18 months. She is happier and healthier than ever before, both emotionally and physically, thanks to an extreme amount of hard work and specialized treatment. For my family, psychotropic medication provided a critical tool on the road to get her to where she is today, at a time when we desperately needed it, but it was neither a simple nor problem-free tool to use. If you are contemplating psychotropic medication for your child, my advice is to make an informed decision about medication, as well as other alternatives. In this way, you can choose what is best for your child and for your entire family. Find a good doctor: Prescribing psychotropic medication — wisely— is a most complicated affair. Work with the best doctor you can find, one who is highly trained in prescribing these medications, experienced with it, and who takes into account your input and concerns when making decisions. Compliance is critical: Inconsistency in giving your child his or her medication can lead to further issues for both your child and family. Adequate dosage, timing and consistency are key to obtaining optimal results. Make sure your child takes medication exactly how and when it is prescribed. Aim for 100 percent compliance, and if you miss your mark by just a little bit, you’ll still be doing well. Keep copious notes: One of the things about life that never changes is that life is always changing. Medication dosage, time of administration, the medication itself, even doctors — all change over time. Don’t trust these important details to your memory or to medical staff. Keep an up-to-date notebook containing all this information. Every time medication is started or adjusted, put on your Sherlock Holmes hat and keenly observe your child’s behavior. Record your observations about behavioral changes, both positive and negative, as well as notes about concurrent changes or stressors in your child’s life. Your notebook can become an invaluable tool to you and your doctor for making informed, intelligent decisions. Be your child’s advocate: You’re an all-important link between the doctor and your child. You are the one providing most of the information that the doctor will use to make decisions. So communicate well. Describe your child’s behaviors, changes in behaviors, medication side effects, and anything else of significance. Ask questions: If you are concerned you might forget something during an appointment, write down notes in advance. By taking an active, collaborative role during appointments, you can maximize the chance for the best possible decisions to be reached. Janet B. Ward is the mother of three children, biological twin boys and a daughter adopted from Russia as an infant. 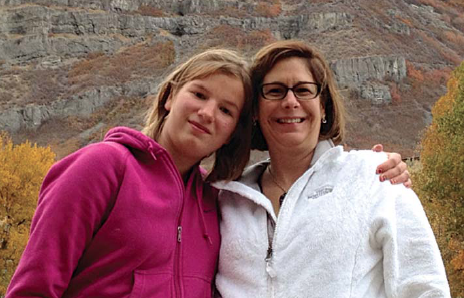 A product of trauma while in Russia, her daughter has received 15 mental health diagnoses in 14 years. 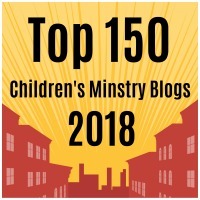 This entry was posted in Adoption, Advocacy, Controversies, Families, Mental Health, Stories and tagged Adoption, Children's Mental Health Awareness Week, Janet Ward, Key Ministry, medication, mental illness, trauma. Bookmark the permalink.